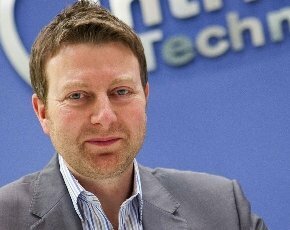 I’m the chief executive of Intrinsic Technology, the unified communications, managed services and cloud computing specialist. I know the business inside out and how to get the most from the team here. I also have a clear vision for our future and a real sense of how successful this business really can be, and the growth we can achieve. My four year old daughter, without fail. My wife for one. I’ve also been lucky enough to be surrounded by a brilliant team throughout my time at Intrinsic, and they deserve a lot of credit for the company’s success. What is the best and worst business advice you have received and from whom? From an early age I was told that hard work will always give you an advantage, and I try to adhere to that in all aspects of my working life. The worst advice was probably to steer clear of Apple products! Never stop listening and learning. The shape of the IT landscape is in constant flux, so it’s vital to never rest on your laurels when it comes to expanding your capability and worth. I am a big fan of MS OneNote and of course my VDI Citrix client. I have my entire desktop on my iPhone, which can make life difficult, especially when you have big hands like myself. Well for resellers in particular, service is going to continue to grow in importance in comparison to selling products. We need to offer our customers the complete package. I’m a big Sheffield Wednesday fan - watching the football at Hillsborough is a favourite pastime of mine. Tough one. As well as personal success and that of Intrinsic, ensuring every member of the current team here goes on to achieve their maximum potential is something that drives me every day. Damien Hughes has written several excellent sport and leadership books. Moonraker. It really put me off 007 for a while, they completely pandered to US audiences. Good to see he is back to his best of British form with Skyfall. I am very ecumenical when it comes to music, something along the lines of: The Arctic Monkeys, Tom Jones, Calvin Harris, Maroon 5, Muse, AC/DC; and of course Bob Marley. Bacon. I keep dodging the cholesterol tests, I fear they will advise me to eat fewer full English breakfasts. A Fiat Strada. I now have a Fiat 500 Twinair, which does 70MPG, so I appear to have made little progress. Fortunately, he also has a big brother to keep him company at night - an Audi R8. Who would you least like to be stuck with in a lift with? Why, what did they do? Neil Warnock, ex-Sheffield United manager. Only one of us would get out of the lift. A bird, something sizeable like an eagle. I cannot imagine the sensation of being able to fly at great speeds under my own volition. It would be the cycling time trial. Let’s face it, if Bradley Wiggins can win with the drag his sideburns must create, I bet I could give him a run for the gold with a clean shaven approach. Bond… James Bond. Quintessentially British, and we would both remain cool, calm and collected. If he wasn’t around, the Hulk. Let’s just smash everything up and have done with things. And finally, a grizzly bear and a silverback gorilla are getting ready for a no-holds barred rumble. Who is your money on and why? The gorilla would win every day of the week. The grizzly may carry the bigger punch, but the gorilla would outsmart and outmanoeuvre the big chap.